We have just completed our first enclosure for Stuart Pumps, a Norfolk-based company dealing in the supply and hire of water pumps. The brief was create a ‘super silent’ enclosure based on a model we designed and developed for SPP Pumps last year. In line with the model we designed for SPP, the Stuart Pumps enclosure houses a Q150 pump. To meet the ‘super silent brief’ we added additional sound attenuating features. 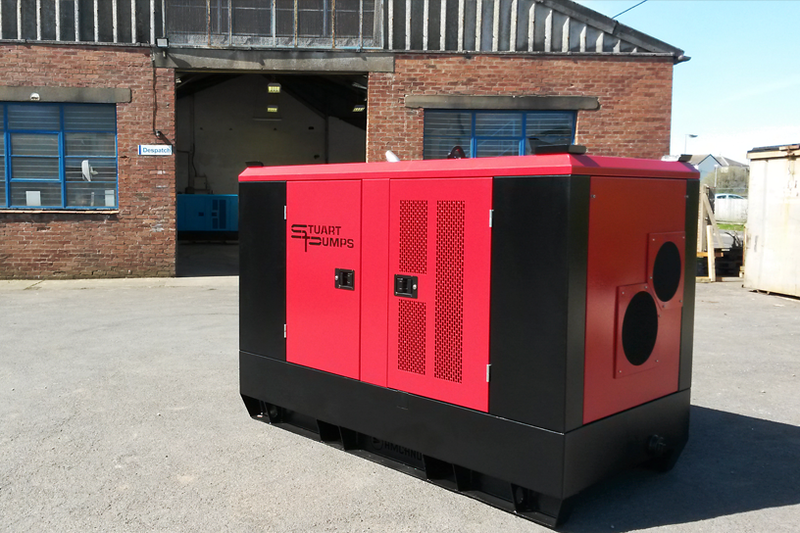 Thanks to our new paint plant we’ve been able to create an exceptional finish – the new enclosure looks really smart, painted in red and black to reflect Stuart Pumps corporate colours.